Rock cores are cylindrical columns of bedrock that may be collected while a well is being drilled. Cores provide geologists with rock material from below the surface that can be used to determine the depth and thickness of the rock formations penetrated by the well. Cores can be slabbed (cut in half vertically) to create a flat surface, which exposes more visual characteristics of the rock. Cores are often sampled to create thin sections and run various geochemical or geophysical analyses. 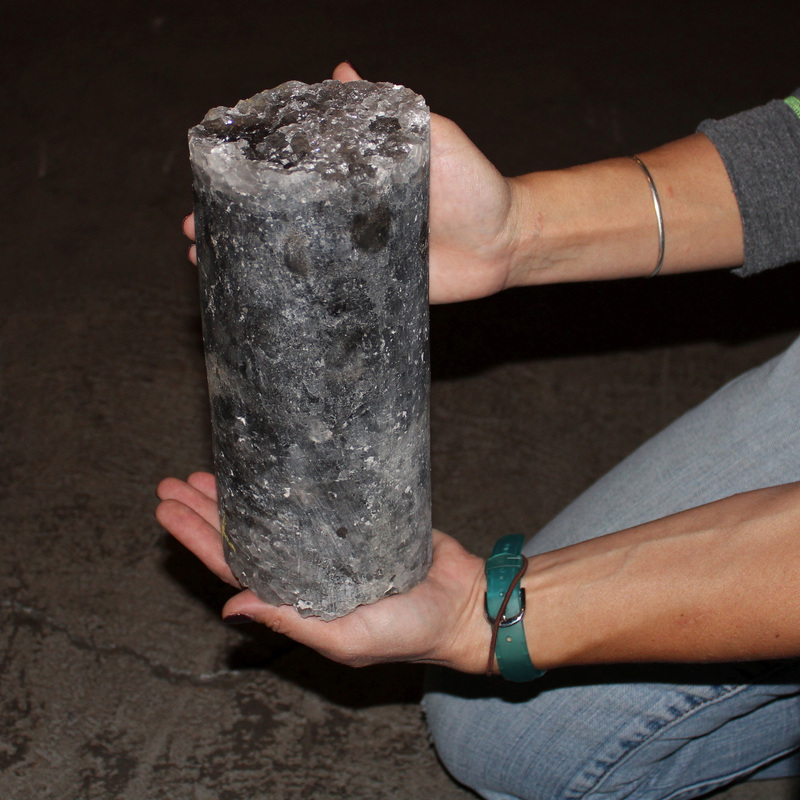 The NYSGS core collection contains rock cores from over 430 wells across the state. These cores range in depth, diameter, and length. They sample every geologic formation in the state and are available for viewing and sampling upon request. A comprehensive core inventory and some core images are available in the Virtual Core Library at http://esogis.nysm.nysed.gov/.